Jonathan Odell was descended in the fourth generation from William Odell, who had come to Concord in the Massachusetts Bay Colony, probably in 1635 with the Reverend Peter Bulkeley, founder of the town and former rector of the parish of Odell in Bedfordshire, England. After graduating in 1754 from the College of New Jersey (Princeton University), where he would three years later receive his am, he taught in 1755–56 at the grammar school attached to the college. Soon, however, he became a student of medicine, and he served for a time in a medical capacity with the British forces in the West Indies. He then went to England, where he was employed for more than two years as an assistant at James Elphinston’s academy in Kensington (London). While there he decided to enter holy orders; he was ordained deacon in London on 21 Dec. 1766 and priest on 9 Jan. 1767. Licensed by the bishop of London as a missionary of the Society for the Propagation of the Gospel, Odell returned to New Jersey where Governor William Franklin inducted him into his charge at St Ann’s (later St Mary’s) Church, Burlington, in July 1767. He was also made responsible for the church at Mount Holly. He apparently continued the “practice of Physick”: in 1768 he was elected to the American Philosophical Society for “his medical Character” and on 8 Nov. 1774 he became a member of the New Jersey Medical Society. In the early 1770s he found the religious state of his charges “not unpromising” in spite of “some inconveniences arising, from time to time, among us, from the frequent visits that are made us by a Number of Methodistic Emissaries, who are taking uncommon pains to get footing in this country. I have hitherto been in hopes,” he stated, “that their diligence may be defeated by letting the novelty pass without any open warmth of opposition. . . .” Such success as he had arose from his own zeal and enterprise. Among his manifold duties was that of secretary, from 1769 to 1774, of the Corporation for the Relief of Widows and Children of Clergymen in the Communion of the Church of England in America. In the latter year events occurred that were destined to reshape his life. 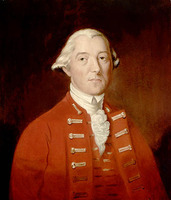 From the outset of the agitation over imperial taxation Odell regretted the action of the British government and maintained that the rights of the colonies should be clearly defined. He was confident that justice could be obtained by peaceful means and set his face steadfastly against sedition and rebellion. Abstaining from political affairs, and regarding it as his duty as a clergyman to promote “a Spirit of peace and good Order” by “prudence & integrity of Conduct,” he sought to secure “the future permanency of that harmony and peace, upon just and practicable grounds, which is essential to the happiness & glory of the whole Empire.” Like his fellow clergyman Jonathan Boucher, who however showed something of the influence of the 17th-century absolutist Sir Robert Filmer, he believed that there were such things as justifiable rebellions, but that the American rebellion was not one of diem. Not long after the outbreak of hostilities his true sentiments became known throughout New Jersey as a result of the interception of two of his letters. The Provincial Congress of New Jersey, which considered his case on 17 and 18 Oct. 1775, declined to censure him, however, on the ground that his opinions did not appear to have been designed to influence public measures, and because the congress did not wish “to violate the right of private sentiment.” He was, however, too outspoken to remain for long immune, and in consequence of his having written a birthday ode in honour of the king, which was sung on 4 June 1776 by British prisoners at Burlington, he brought about his head a storm of hostility. On 20 July he was required, as a person suspected of being inimical to American liberty, to confine himself on the east side of the Delaware River within a circle of eight miles of the Burlington court-house. On 1 August he sought to be excused from this undertaking, offering to bind himself not to hold any political correspondence with the “enemy” or to furnish them with supplies or information, but this request was denied. When in mid December 1776 a detachment of Hessians reached Burlington with orders to billet in the town, some neighbours asked Odell to meet the commandant, with whom he could converse in French, and request him to guard their inhabitants from insult or injury. While their meeting was in progress, four rebel gondolas bombarded the town, and the Hessians retired, leaving Odell and other loyalists exposed to reprisals. Rebel troops with fixed bayonets hunted him with orders to take him dead or alive, but he was much beloved by the people of Burlington who would not give him up. He narrowly escaped capture while in hiding in a secret chamber of a house occupied by Margaret Morris, a Quaker who had befriended him. On 18 December he was able to flee to the British lines in New York, but he was compelled to leave his wife and children behind and was not reunited with them until 1779. As a result of the confiscation of his property, which soon followed, Odell found himself in financial difficulties. He continued to receive support from the SPG, however, and was able to add to it 6s. a day as chaplain of the Pennsylvania Loyalists, and later of the King’s American Dragoons, as well as occasional fees for services rendered the authorities, mainly in the translation of documents. In 1777 he was appointed by Sir William Howe, the commander-in-chief of the British forces, as superintendent of the printing office and of periodical publications in Philadelphia, Pa. Almost by chance he became involved in the Arnold–André affair. When in the spring of 1779 Benedict Arnold, probably the ablest general in the service of the revolted colonies, determined to change sides should a settlement profitable to himself be arrived at, he got in touch with Joseph Stansbury, a poet and merchant of Philadelphia, who in turn communicated with Odell. 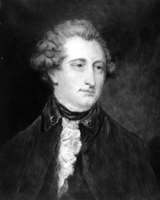 On hearing the news Sir Henry Clinton, the commander-in-chief, and John André, Clinton’s aide-de-camp, could scarcely believe their ears, but they decided to make cautious and hesitant responses to Arnold’s overtures. Odell coded and decoded the messages in his house in Wall Street, New York, which became the terminus of this correspondence. It had already lasted some months when Arnold broke it off late in the summer of 1779, partly through fear of detection but mostly because he felt the British authorities did not sufficiently value his proposed services. When negotiations were resumed in the summer of 1780 they eventuated in Arnold’s defection and André’s capture and execution as a spy on the orders of George Washington. Satire in prose and verse, but particularly the latter, had become the principal weapon in the literary warfare of both sides. Odell’s purpose was to arouse and encourage the loyalists, sometimes through boisterous drinking-songs, but usually through attacks on the rebellious whigs involving denigration and ridicule. In the latter he followed the models of English classical satire as perfected by John Dryden, Alexander Pope, and others, particularly Charles Churchill. The habit of expressing himself in verse stemmed from his early years. “A welcome home to the Twenty-Third Regiment,” written after the treaty of 1763, and a piece composed two years later, “On Pope’s garden at Twickenham,” indicate that the poems, satirical and otherwise, written during the Revolutionary War were not the work of a novice. Vigorous, filled with invective, hostile without reserve of any kind, they were clearly the expression of a mind inflamed by the passions of civil conflict. Many appeared in Rivington’s New-York Gazette, a number in the Royal Pennsylvania Gazette, both widely read. In their virulence some of the poems went beyond the “decent, well-meant essays” promised to Sir Henry Clinton by Governor Franklin, Odell’s patron. Generals, congressmen, officers of government, and “hired scribblers” are seen to be “Swarming like maggots, who the carcass scour/ Of some poor ox, and as they crawl devour.” The most respected leaders among the whigs – John Jay, Samuel Chase, Robert Morris – were not spared, and only a grudging acknowledgement of merit was accorded to Gouverneur Morris. Henry Laurens of South Carolina alone escaped unscathed, though he was president of Congress. Perhaps Odell’s most powerful satire was “The American times,” which once was attributed to Dr Myles Cooper and which appeared over the pseudonym Camillo Querno. Here the poet calls before him those he holds responsible for the crime of the revolution, namely the fallen angels, who, able temporarily to leave Pandemonium, take on human form and wreak havoc in earthly society. For this device Odell may have been indebted to John Milton. One of Odell’s first duties after arriving in New Brunswick in November 1784 was to accompany Carleton, William Hazen, and Thomas Knox over the 90 miles of the frozen Saint John River to St Anne’s Point, which they chose as the site of the future capital of the province. On 22 Feb. 1785 the governor in council ordered that immediate steps be taken to establish the new settlement, on the site of an old Acadian village; it was to be called Fredericstown in honour of one of the sons of George III. This place was to be Odell’s home for the rest of his life. He lost no time in establishing himself there, and was fortunate in obtaining grants adjacent to the glebe land, on which Christ Church was soon to be built. Here he erected a new house, incorporating one already constructed, as substantial as any in the settlement. On 2 May 1796 he petitioned for additional holdings, and eventually the family came into possession of one of the largest estates in the area. Yet an observer wrote on 2 Dec. 1804 that “except merchants, no one is rich here.” Social position, indeed, rested rather on the holding of office, church membership, and the possession of education and cultivated tastes. Odell attained a leading position from the beginning. When the New Brunswick academy, established as early as 1785, received its university charter in 1800, Odell was named as one of its governors together with the chief justice, George Duncan Ludlow, the attorney general, Jonathan Bliss*, and a number of other prominent citizens. 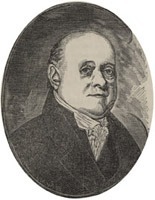 Until his retirement in 1812, when he was succeeded by his son, William Franklin Odell* (father and son together held the influential office of provincial secretary for a period of 60 years), he helped to mould the early institutions of the province, and exercised a paramount influence on political decisions, partly, it is true, because of his close personal relationship with the province’s first governor. Yet scope for the exercise of constructive talents remained limited because of the prolonged economic depression incidental to the French revolutionary wars. Even after 20 years Fredericton remained a village, though a pleasant one “scattered on a delightful common of the richest sheep pasture I ever saw,” wrote Lady Hunter, wife of the senior officer on this station. There were, she observed, only 120 houses, “some very pretty, all comfortable-looking,” and almost everyone had a garden. Although the diminutive capital remained largely unconnected by roads with the outside world during Odell’s lifetime, the first steamboat, the General Smythe, was launched on the waters of the Saint John – a harbinger of change – two years before his death. Nevertheless, the frequency of balls and gregorys enlivened the social life of the place, the former marking events for which Odell wrote suitable songs and odes. On one noteworthy occasion he composed a piece sung to the tune of “Nottingham ale” in honour of Lord Nelson. It was performed in the midst of decorations so enchanting – among them, a brilliant transparency of the Victory engaging the French and Spanish flagships, with their masts falling, and four grenadiers in full dress and arms standing at attention under arches made of evergreens – that one young lady exclaimed, “Oh, ma’am, such a place as I would wish to spend all my days in, and go to after I was dead.” To the splendour of the occasion the Misses Odell contributed by their handiwork. 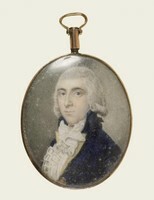 Although Odell thus continued to write for public occasions he also indulged in personal tributes: one to Lieutenant Governor Thomas Carleton on his departure for England in 1803; another in praise of Lady Hunter, who found him “a wonderful old man; so much life, spirit, and activity are rarely to be met with at his advanced period of life.” He was not so old as to be unable to greet the War of 1812 with a “Salute to neighbour Madison,” a tribute to British arms at Queenston Heights, and the like. His address to his wife “On our thirty-ninth wedding day,” 6 May 1810, struck an unaccustomed note of personal emotion and tender sentiment. Jonathan Odell’s poems appear in a number of 19th- and 20th-century anthologies, including The loyalist poetry of the revolution, ed. Winthrop Sargent (Philadelphia, 1857); the same editor’s The loyal verses of Joseph Stansbury and Doctor Jonathan Odell; relating to the American revolution (Albany, N.Y., 1860); The book of Canadian poetry: a critical and historical anthology, ed. 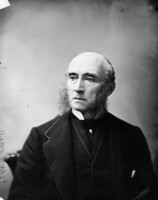 A. J. M. Smith (rev. ed., Chicago and Toronto, 1949); Narrative verse satire in Maritime Canada, 1779–1814, ed. T. B. Vincent (Ottawa, 1978); and The New Brunswick poems of Jonathan Odell: a selection (Kingston, Ont., 1982). A chronological listing of Odell’s poetry is provided by Jonathan Odell: an annotated chronology of the poems, 1759–1818, comp. T. B. Vincent (Kingston, 1980). N.B. Museum, Odell family papers. UNBL, MG H2; “Select loyalist memorials: the appeals for compensation for losses and sacrifices to the British parliamentary commission of 1783 to 1789 from loyalists of the American revolution who came to Canada,” ed. W. S. MacNutt (photocopy of typescript, n. d.). USPG, B, 21, no.261; 24, nos.140, 146, 149. American arch. (Clarke and Force), 4th ser., 3: 1227; 6: 1651, 1656. The journal of Gen. Sir Martin Hunter, G.C.M.G., C.H., and some letters of his wife, Lady Hunter . . . , ed. and comp. Anne Hunter and Elizabeth Bell (Edinburgh, 1894). [Margaret Morris], Margaret Morris: her journal . . . , ed. J. W. Jackson (Philadelphia, 1949). Winslow papers (Raymond). DAB. James McLachlan et al., Princetonians, 1748–1768: a biographical dictionary (Princeton, N.J., 1976). Sabine, Biog. sketches of loyalists. R. P. Baker, A history of English-Canadian literature to the confederation; its relation to the literature of Great Britain and the United States (Cambridge, Mass., 1920). Wallace Brown, The good Americans: the loyalists in the American revolution (New York, 1969). I. L. Hill, Fredericton, New Brunswick, British North America ([Fredericton, 1968?]). H. Y. Hind, The University of King’s College, Windsor, Nova Scotia, 1790–1890 (New York, 1890), 8. J. W. Lawrence, Footprints; or, incidents in early history of New Brunswick, 1783–1883 (Saint John, N.B., 1883), 67–68. D. A. Loughlin, “The development of social and intellectual attitudes as revealed in the literature of New Brunswick” (ma thesis, Univ. of N.B., Fredericton, 1948), 74–111. V. L. Parrington, Main currents in American thought (3v., New York, 1927–30; repub. 3v. in 1, 1930; repub. 2v. to date, 1954– ), 1. M. C. Tyler, The literary history of the American revolution, 1763–1783 (2v., New York and London, 1897), 2. Carl Van Doren, Secret history of the American revolution (Garden City, N.Y., 1941). Wright, Loyalists of N.B. Jonas Howe, “The King’s New Brunswick Regiment, 1793–1802,” N.B. Hist. Soc., Coll., 1 (1894–97), no.1: 36. Rufus King, “Memoir of Hon. William Hunter Odell,” New-England Hist. and Geneal. Reg. (Boston), 46 (1892): 20–22. Alfred G. Bailey, “ODELL, JONATHAN,” in Dictionary of Canadian Biography, vol. 5, University of Toronto/Université Laval, 2003–, accessed April 19, 2019, http://www.biographi.ca/en/bio/odell_jonathan_5E.html.